Rodents are some of the most common critters that we deal with on a regular basis here at Critter Control of Orlando. 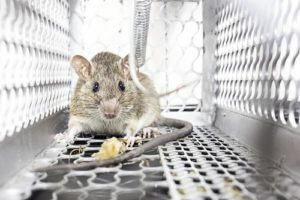 Mice and rats are attracted to the food, water, warmth, and shelter that your home provides; and it can be tough to get them out once they settle in. Rodents also reproduce very quickly, meaning that a small problem can turn into a major infestation before you know it. Though we recommend taking advantage of the experts here at Critter Control to ensure your rodent problem is eliminated completely, there are some ways to try and trap mice on your own. We know just how frustrating and overwhelming a rodent infestation can be, which is why we’re happy to help. If you do catch an issue before it turns into an infestation, here are a few tips to help your DIY trapping efforts to success. Mask your scent – Most rodents smell incredibly well, so it’s critical to keep your hands clean and pet odor-free when setting traps so they aren’t spooked by an unfamiliar scent. Placement is everything – Look closely around your property for signs of activity like droppings or bite marks, and use those as a reference on where to place your traps. Use the right bait – Foods with a high protein content are especially attractive to rodents. Peanut butter is a great choice, and sticks to the traps well so a clever rodent can’t make off with the bait. Just remember to use it sparingly, a little bit goes a long way. Use more traps than you need – Though we recommend being sparing with the bait on your traps, you should be generous with the number of traps you set. Mice and rats are crafty and good at avoiding danger, so the more traps you set, the better your chances. If you are able to catch the nuisance rodents in your home, do not handle them under any circumstances. Dead rodents carry very dangerous diseases, so for any removal needs, or if you’re faced with a large infestation, call us at 407.295.7194. We’re happy to assist in any way needed.